our new apartment is fantastic! I love it SO much! We moved in last Saturday, and it has been a great week. Everything is in it's right spot and we have a few things left to get. I love it. 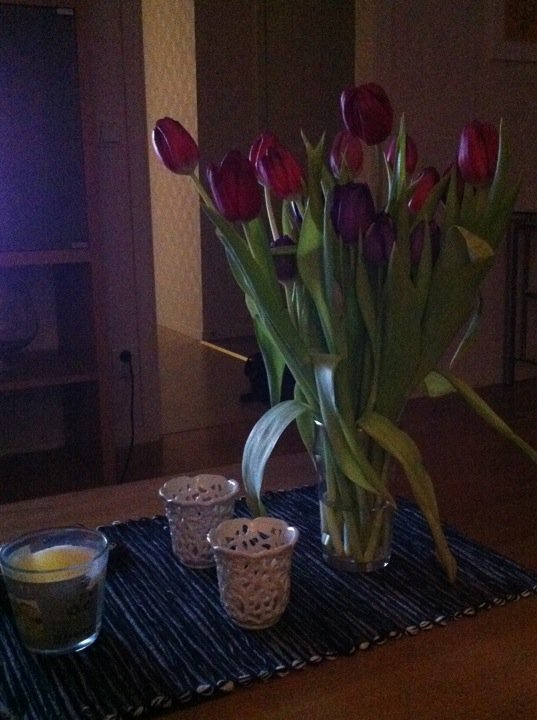 Our first house warming flowers! Thanks to our dear friends Anton and Sofia. 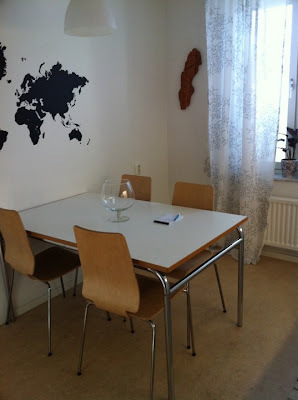 Our lovely kitchen table, with map of the world included. The clock on the wall is the shape of Sweden, Fredrik's grandpa made it. We love it! 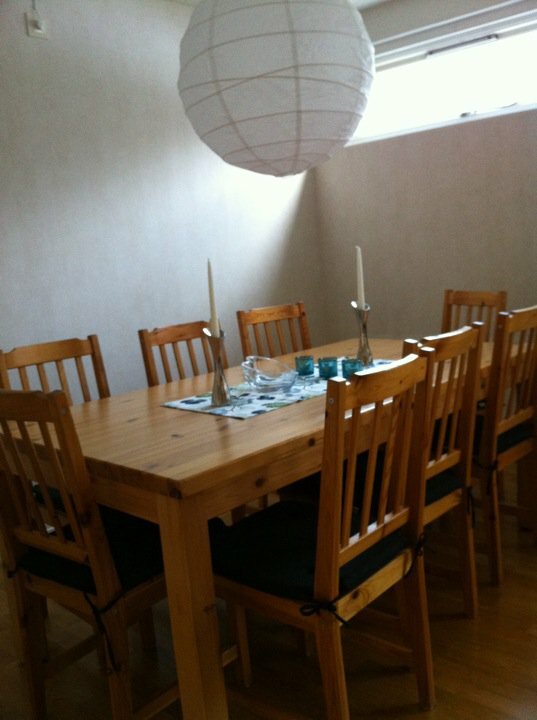 ;) The dining room table, holds 10 people! First time baking! Yum chocolate chip cookies. 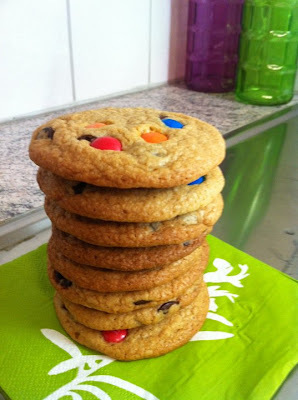 Everybody at work NEEDED this recipe! I brought 15 and they were gone by 1! We are really getting setttled in and into a routine. It's different when it's just the two of you. We have all our own stuff and all our own responsibilities. We really depend on one another. Fred is making dinning almost every night! He is so great! The Swedish word of the day is 'kärlek' which means 'love' and is pronounced 'sharlek'. 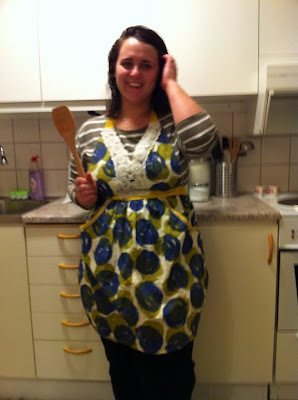 You can also use the word 'älskar' which is pronoucned 'elskar'. What a great language, two words for love. Jag älskar min man. I love my husband. I am so excited for you guys, officially "just the two of you" has to feel so good! Have you met any neighbors in your building yet? I'm guessing with the divine aromas wafting from under your door that EVERYBODY is going to want to get to know the Josefssons! I am visiting Colorado and was lucky enough to spend some time with YaYa! 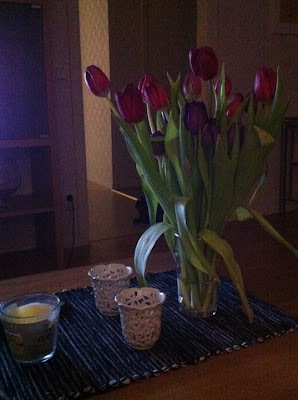 I love the photos of Ashley and Fredrik's home! Please continue to post and I will check more often when I return home.